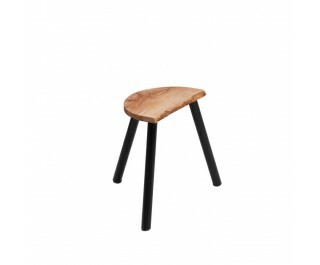 3-legged stool. Steel tube frame Ø 25 mm, epoxy painted copper black. Seat in aged solid olive wood, polished. Unique pieces, see characteristics of aged wood on page 51.